A listeria outbreak in Colorado last fall resulted in 30 deaths and more than 146 illnesses. The Colorado farm linked to a deadly listeria outbreak last fall is 1,300 miles away, but the tragedy changed a way of life in Mendota, Calif., the Central Valley farm town that proudly calls itself the Cantaloupe Center of the World, said an article in the Los Angeles Times by Diana Marcum. This would normally be the season when farmers plan the summer crop that in good years is valued at nearly $200 million, according to the California Cantaloupe Advisory Board. 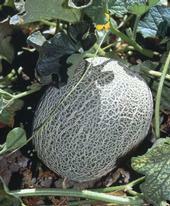 Instead, they are cutting acreage and scrambling for ways to reassure a nervous public that cantaloupes are safe to eat.